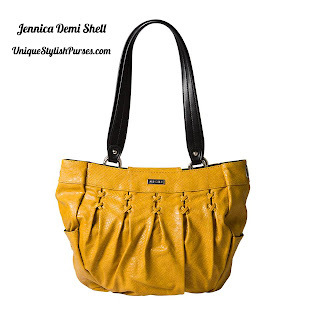 Jennica Demi Shell. You’ll go wild for Jennica. Dijon yellow faux leather is given a little extra sass by a demi-gloss snakeskin pattern. Matches our Interchangeable Handles Straps (yellow snake). Side pockets.